It’s easy to forget about the pipes in your manufacturing, hospitality, or healthcare building, but piping is fundamental to operating your business. If you’re looking for a reliable mechanical contractor to install, maintain, or repair the piping in your commercial or industrial building, AccuTemp Mechanical is here to help. Our highly trained technicians are fully certified, and our experience with providing piping services to customers in Wisconsin and Northern Illinois dates back decades. Rest assured that we can handle your piping project safely, effectively, and according to state and local regulations. Choose AccuTemp Mechanical for all your piping needs. You can contact us online or by calling (262) 671-4012 today to learn more about our mechanical piping services in Kenosha. Water piping: Pipes used for delivering water are typically made of polyvinyl chloride (PVC), copper, or galvanized steel. PVC is recommended primarily for chilled water and drainage systems. Copper pipes are the most popular option for water supply lines and are available in different thicknesses depending on local building codes. Steel is less common in residential buildings, but it’s still often used for water distribution purposes in commercial applications. Steam piping: Our piping specialists can expertly install high- and low-pressure steam piping systems for boilers, heat exchangers, control systems, and more. These systems are ideal for industrial settings, but proper installation is a must to ensure adequate safety. Our technicians are highly trained to safely and efficiently install steam piping according to local codes and standards. Compressed air piping: Pipes for this application are available in carbon steel, stainless steel, copper, and aluminum. We’ll help you choose the right material for the application, which may differ depending on the required piping length, obstructions in the installation area, and other factors. 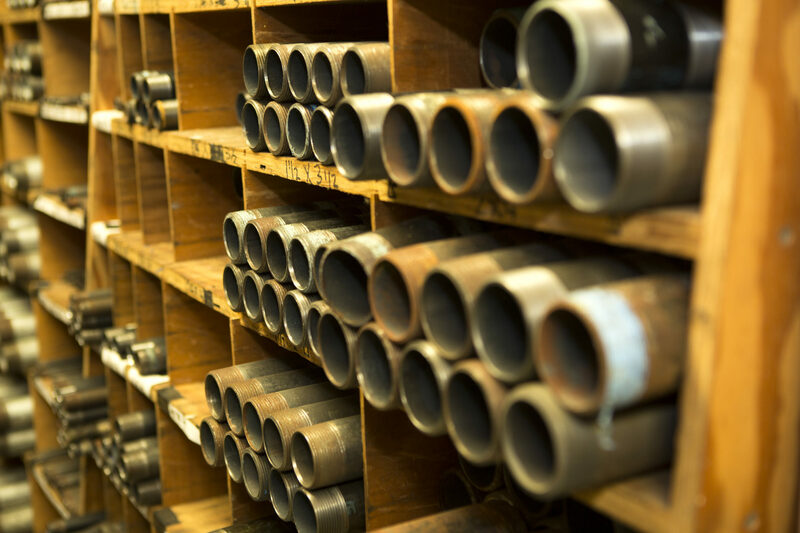 Your pipes work hard to keep things flowing in your industrial or commercial building. Unfortunately, exposure to corrosive chemicals, high pressure, and other environmental factors can cause metal and plastic pipes to deteriorate. Unchecked corrosion can lead to catastrophic pipe failure, which can cause flooding, explosions, fires, hazardous leaks, and other problems, depending on which pipe fails. Now, here’s the good news—AccuTemp Mechanical offers the piping maintenance you need to keep your pipes in good condition. Our team knows exactly what to include in a piping inspection and how to help your facility remain compliant with local regulations. Keeping records of routine inspections makes it easy to stay on top of piping maintenance for regulatory purposes, but most importantly, it helps you avoid negligence that could lead to pipe failure. If you’re looking for a steam pipe contractor in Kenosha, give our team a call at 262-671-4012! Inspections may reveal signs of wear and tear on your piping that could lead to failure if not addressed in a timely manner. For the most cost-effective solution, don’t run your pipes until they fail—instead, make immediate repairs to any piping or components that show signs of deterioration. AccuTemp Mechanical is highly experienced at repairing aging pipes. We use efficient, time-saving techniques to help keep costs and outage time down for your company. Then, we can offer corrosion control tips to reduce the need for future repairs. Why Choose AccuTemp Mechanical Services for Mechanical Piping Services in Kenosha? We have almost a century of experience providing commercial and industrial buildings in Wisconsin and Northern Illinois with high-quality water, steam, and compressed air piping. Our technicians are fully certified and union members. We provide professional, friendly commercial and industrial piping service that has resulted in long-term relationships with many of our clients. Put our years of experience to work for you. Contact AccuTemp Mechanical Services today at 262-671-4012 to get a quote on your commercial or industrial piping project!